Click on any image below to view our YouTube video on the topic. 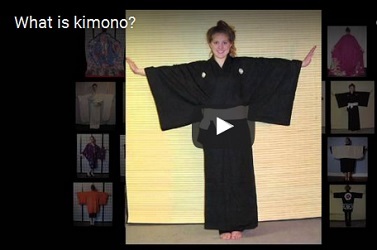 How do I put on a kimono? What are the different styles of obi? Tell me about the annual tour to Kyoto! How do we sell the salvaged fabric? What do we sell in our Japanique Boutique? What are the different styles of kimono jacket?